Spring brings several pleasures: the lifting of the cold weather, the burgeoning leaves on the trees, the colorful flower bushes lining country roads. But in many ways, for me, the greatest pleasure of spring is the food: ramps, asparagus, fresh fava beans, fresh chickpeas, baby lettuces…. 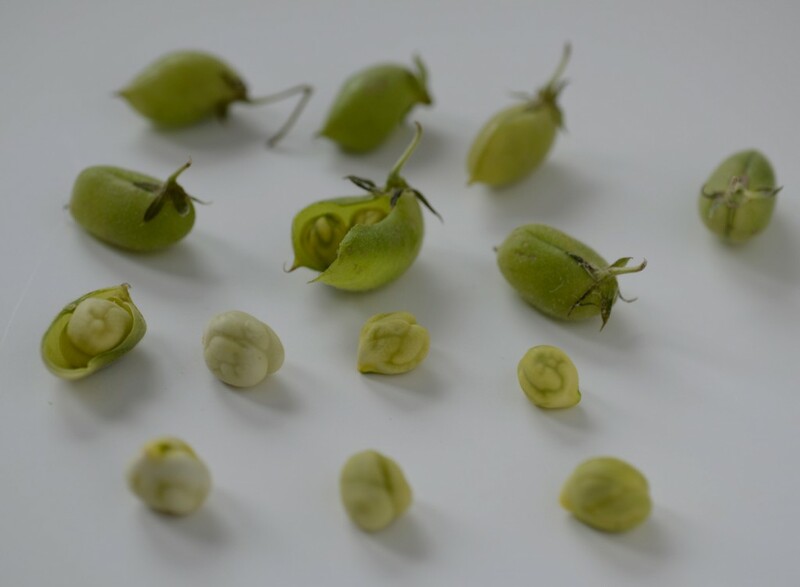 If you’ve never tried fresh chickpeas, don’t wait too long: May is the peak season. 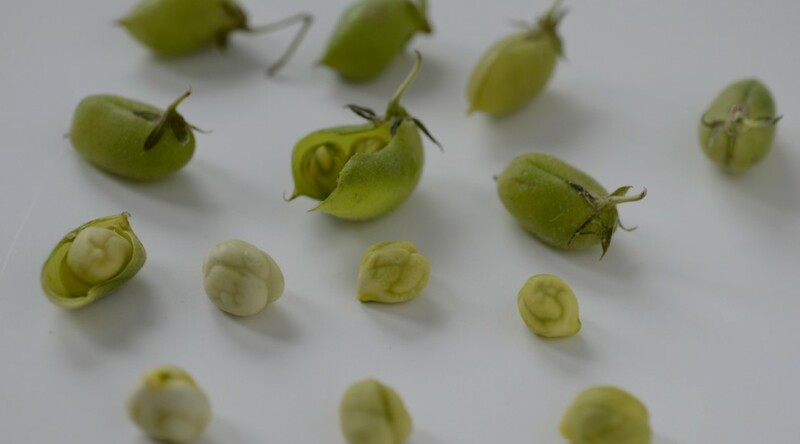 Their flavor is gentle and green, just barely reminiscent of dried or canned chickpeas. 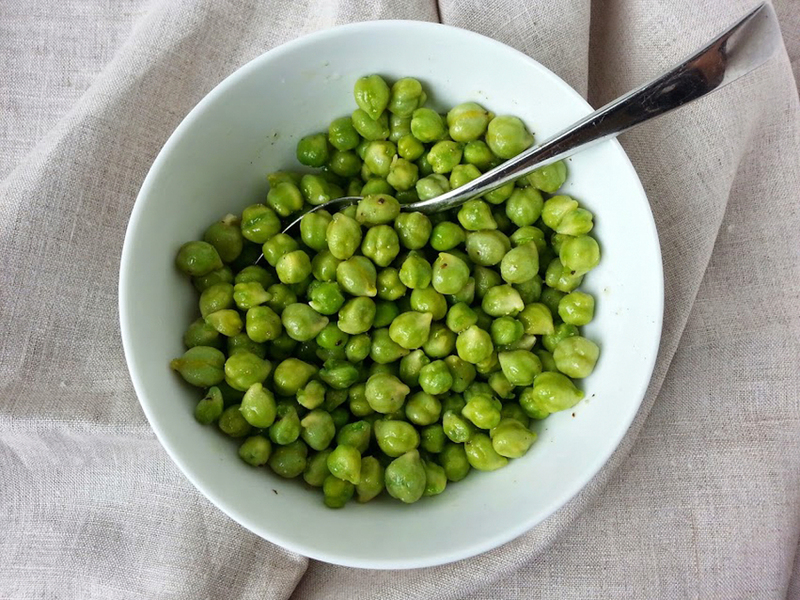 After shucking the chickpeas, I rinse them, boil them briefly, and dress them with fruity extra-virgin olive oil, salt, and pepper for a simple, sweet taste of spring. Bring 2 quarts of water to a boil. Add 1 tablespoon of the salt and drop in the chickpeas. Cook for 2 minutes, drain, and rinse under cool water. Drain again. Toss with the olive oil, the remaining 1/4 teaspoon the salt, and the pepper. Taste and adjust the seasoning. Serve at room temperature.